Terry W. Mackey passed away in Littleton, Colorado on September 2, 2018 after falling and hitting his head at home on May 2, 2018. He was surrounded by his wife, son and two daughters when he passed. Terry was 75. Terry was born on November 20, 1942 in Denver, Colorado. He was the second of four children born to Harold and Dorothy (Newville) Mackey. 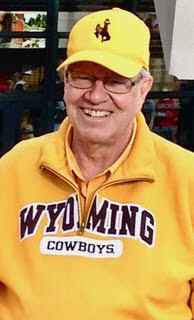 Terry developed his gregarious personality moving from place to place with his family as a kid, ultimately settling in Casper, Wyoming where he graduated from Natrona County High School in 1960. 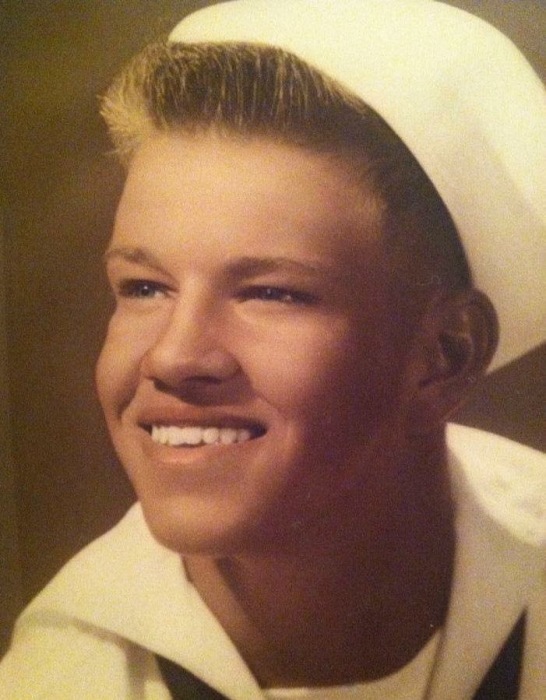 Following graduation, in June, 1960, Terry enlisted in the Navy where he became a Radioman 3rd Class. After his honorable discharge from the Navy in September, 1963, he returned to Wyoming and attended Casper College, earning an Associate’s degree. Terry met the love of his life, Catherine (Long) Mackey when she was a freshman in 1965. She swept him off his feet, and they married on September 4, 1966. Terry and Cathy attended the University of Wyoming together. Terry earned a Bachelor of Arts degree in 1968. In 1970, he earned a Juris Doctorate degree from the University of Wyoming College of Law. Terry was editor of the Land and Water Law Review and served in the Defender Aid Clinic. Terry began his law career in Jackson, Wyoming, working for Floyd King. In 1972, he moved to Cheyenne, Wyoming to practice with Urbigkit, Moriarity, Halle & Mackey. He practiced law in Cheyenne for the remainder of his life, practicing with Hickey, Mackey & Evans, but primarily running his own practice, Terry W. Mackey, P.C. In fact, he was on his way to his home office when he fell in May. Terry loved the law. Practicing plaintiffs’ personal injury and criminal defense law, he was a champion of the “little guy.” He was a voice for the voiceless. Regardless of their status in the world, Terry stood beside clients and advocated for the best possible outcomes. Service was a theme of Terry’s life. He served the community, sitting on numerous boards and committees. He was a gubernatorial appointee to the Wyoming Board of Outfitters for many years. He was a member of the boards of directors of the Wyoming Trial Lawyers Association and the Wyoming Children’s Society. He served on the Board of Governors for the American Trial Lawyers Association. He was a member of the American Association of Justice, the Colorado Trial Lawyers Association, the International Society of Barristers, the American College of Trial Lawyers and the American Board of Trial Advocates. He was a member of the Grounds Committee for Cheyenne Frontier Days, as well as a member of HEELS. He was a member of Cowboy Joe Club and a lifetime member of the UW Alumni Association. The UW College of Law was Terry’s second home. He served on the College of Law Alumni Board, acting as the inaugural president. He was also appointed to the Dean’s Advisory Board for the College where he was an outspoken proponent for the clinical programs. One of his proudest achievements was his contribution as a donor, fundraiser and driving force behind the creation of the moot courtroom at the College. On his 70th birthday, with his dedication to his alma matter in mind, his family created the Terry W. Mackey Scholarship. 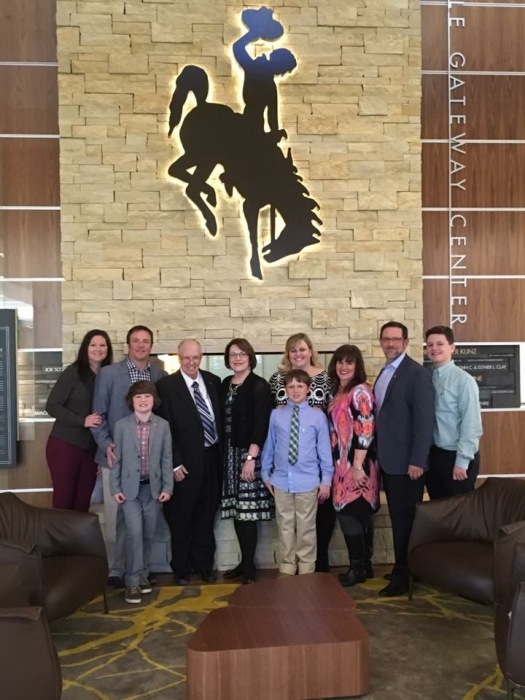 The purpose of the scholarship is to assist students who show promise as practicing attorneys, without regard to their academic standing, and with preference given to students who anticipate practicing law in Wyoming after graduation. As a result of his dedication to service and the impact of his tireless work in courtrooms and classrooms, Terry was honored a number of times. He received the Wyoming Trial Lawyers Association Lifetime Achievement Award in 2007. The College of Law honored him in 2013 with the Distinguished Alumni Award and then again in 2016 by naming him Honorary Order of the Coif Recipient. What Terry loved more than the law and the courtroom was his family. He always prioritized them. He was the proud husband of Cathy for 52 years. He raised three successful and loving children: Shawna, Brian and Kristin. Most of all, Terry loved being a grandpa. Ethan, Griffin and Brody were the lights of his life. Nothing made him happier than taking the boys to places he loved and discovering new destinations. From trips to Yellowstone and the Black Hills, and swanky hotels to dude ranches, Grandpa Terry showed the boys the world through his lens. The smiles and laughter of his children and grandchildren as they tell the stories of their adventures together are the legacy Terry has left. The tales told and tears shed by the people who knew him are a reflection of the love he felt for his community. Nobody loved the state of Wyoming more than Terry Mackey. There was never a bigger Cowboys fan. Terry bled brown and gold until the minute he left us. Terry was preceded in death by his father, Harold Mackey; his mother, Dorothy (Newville) Brand; his father-in-law, Frank Long; and his granddaughters, Ella and Reese Mackey. He is survived by his wife, Cathy; daughter, Shawna (Brad) Geiger; son Brian (Stephanie) Mackey; daughter Kristin; and grandsons, Ethan and Griffin Geiger and Brody Mackey. He is also survived by sisters, Nancy (Bill) Skadden and Ruth (Dennis) Phillippi; and brother, Mike (Karen) Mackey; mother-in-law, Mary Long; brother-in-law, Don (Barbara) Long; sister-in-law; Jeanine Allison; as well as numerous nieces and nephews, all of whom he loved dearly. A memorial service will be held for Terry at the First Presbyterian Church in Cheyenne, Wyoming at 1:00 pm, Saturday, September 8, 2018. Pastor Duane Ferchen will preside over the memorial. Memorial donations are welcome and appreciated. They can be sent to the University Of Wyoming Foundation, 222 South 22nd Street, Laramie, Wyoming 82070 (please designate Terry W. Mackey Scholarship) or a charity of your choice.